We are extremely proud to share our scores from the Mandatory State Testing given last year. 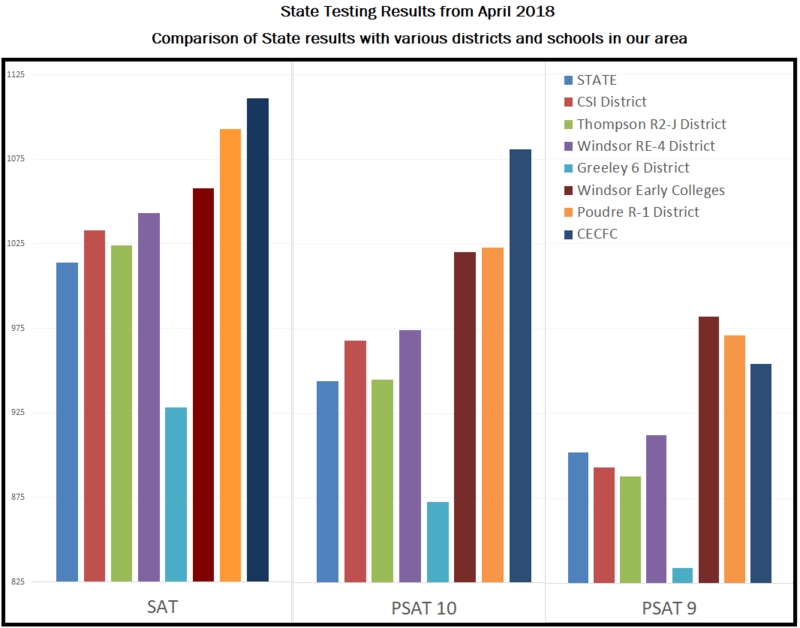 The graph below displays the average scores of the State of Colorado compared with various districts and schools in our area, including CECFC. Since last spring, we have been busy working on cross-curricular instruction, which helps students excel and give them the resources they need to shine. We are excited to see what our students can accomplish in this year’s administration. Here at CECFC our policy is to never teach to the test. Colorado has aligned their test to meet the requirements students need to be successful after high school. This spring, one of our goals is to improve our overall PSAT 9 scores. As last year was the first year that particular assessment was administered, we are confident that our students will be prepared to conquer this challenge.